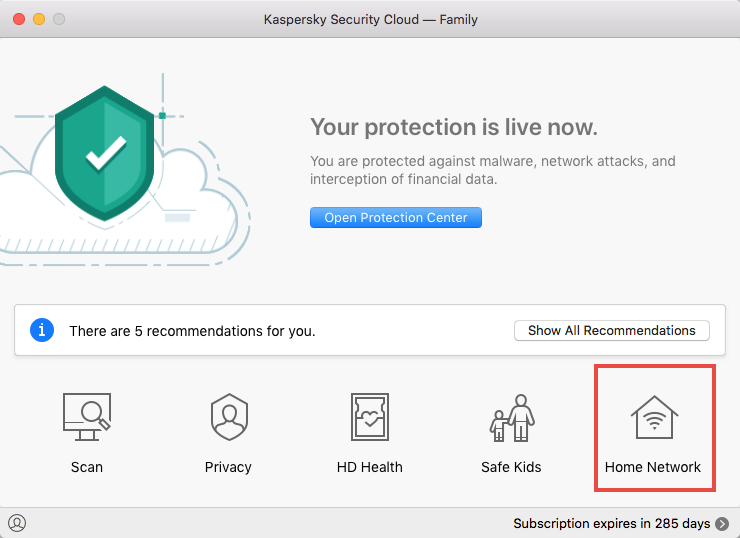 The article concerns Kaspersky Security Cloud for Mac — Family and Personal. Other devices can connect to your wireless network if it is not protected. If the protection is insufficient, other people can guess a password or hack your network. If someone else is using your network, the internet connection speed may decrease and your passwords and other personal data may be intercepted. 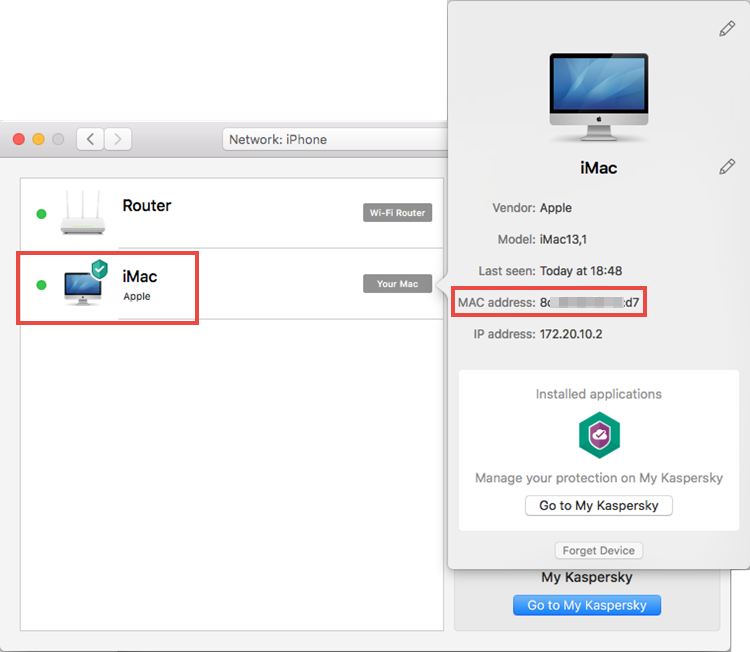 Use Kaspersky Security Cloud for Mac to monitor which devices are connected to your Wi-Fi network. In the main window of Kaspersky Security Cloud, click Home Network. In the Network window, you will see your router, Mac, and other devices connected to the network. If a Kaspersky Lab solution is installed on the device, the device will have the icon. Copy the MAC address of this device. 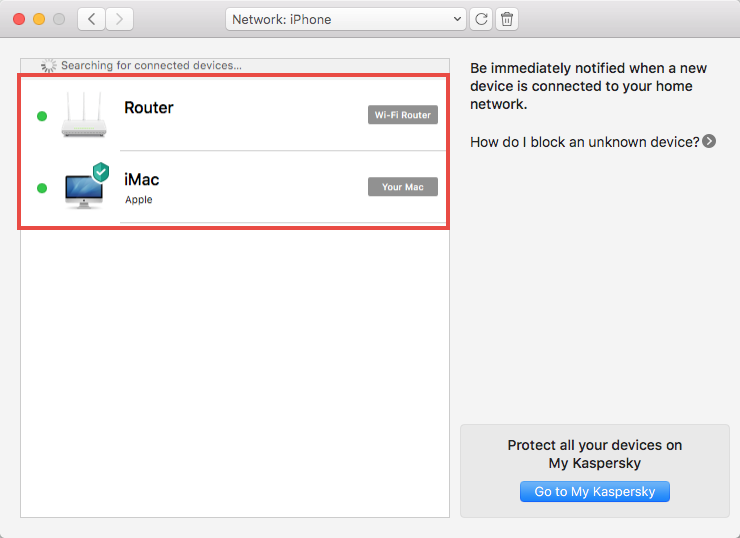 Block the device’s MAC address in your router’s settings. To find the user guide for your router, look on the vendor’s website. After you have blocked the device’s MAC address, it will no longer be able to connect to the network. Router interfaces differ depending on the vendor, specific model and firmware version. For help navigating your router’s settings, see the user guide for your model. It is usually attached to the router, but otherwise you can download it from the vendor’s website. Enter the IP address of the router to the address line. You can find the IP address on your router and in the user guide. Press Enter on the keyboard. The authorization page will open. Enter the login and password to access the router settings. They are also specified on the device. Press Enter on the keyboard. The router settings will open. Change your password to a stronger one. Follow our recommendations for setting strong passwords. The unique name can help you identify your network. Without a password, anyone will be able to access your home Wi-Fi network. A strong password will prevent third parties from connecting to your network. Follow our recommendations for setting strong passwords. In the router settings, you can hide the name of the network so that it cannot be detected without specific software. The protocols differ in their levels of security. WEP is inferior to the others in terms of security, but is supported by older equipment. We recommend using WPA2. WPS is a simplified way of setting up a wireless network, but it is susceptible to hacking. Every device that can connect to a wireless network has a MAC address. Form a list with MAC addresses of trusted devices or block access for specific devices by their MAC addresses. In the router settings, you can change the signal range for your network. If you are suing the network within an apartment or office, reduce the range so that the network is only accessible within the apartment. Regular firmware updates help you enhance the security of your wireless network. Updates fix errors and vulnerabilities of the router software and consequently increase the security of the device.